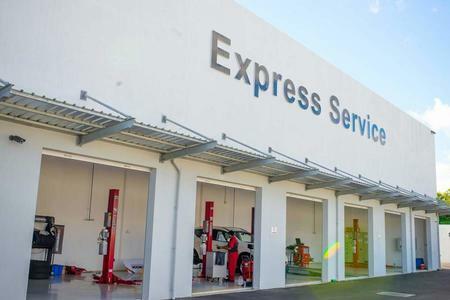 To provide a better service to our customers, we provide complete maintenance solution at our two service centres, namely Port Louis Service Centre and Phoenix Service Centre. 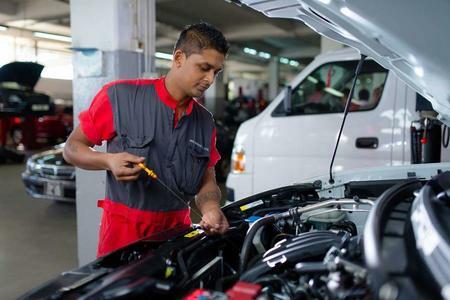 For your own driving comfort, vehicle safety and performance, it is recommended to have your periodic maintenance/servicing performed as per the manufacturer’s interval. Please refer to your maintenance booklet for more information. Also ensure that your maintenance booklet is updated after every service visit. 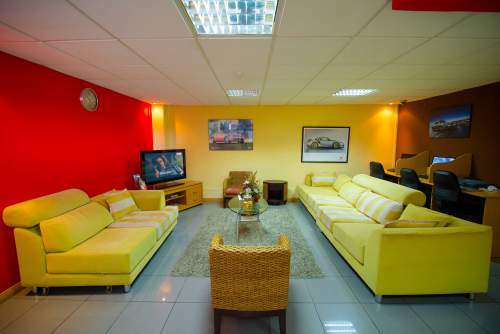 Get your vehicle repaired to factory standards at our Service Centres. Our car repair experts will quickly diagnose and fix your vehicle's problem. Our professionally trained technicians have the know-how and experience to get your vehicle running at its peak performance. If you're in need of auto repair and need to find an auto mechanic you can trust, you can count on us. Automotive electrical systems are continuously evolving and have become more complex. These systems and devices control almost all driving functions; therefore their proper functioning is crucial to ensure a smooth running of the vehicle. All services related to Auto Electrical Repairs are provided at our Service Centres where a highly experienced team and a workshop equipped with the latest technologies are at your service. Get your car serviced in 60 minutes while you wait. With our Express Service, a factory trained technician will change your oil and filter, perform a Multi-Point inspection on your vehicle, and get you back on the road. You’ll get a 25 points report detailing the current state of your vehicle’s health. 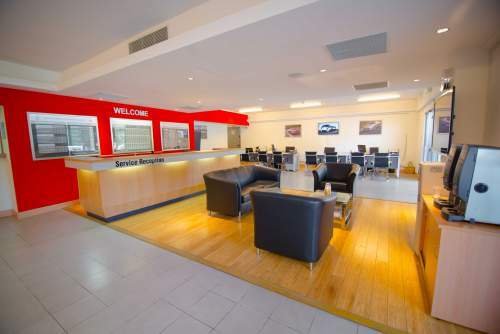 You can drive in confidence knowing that your vehicle has been serviced at a trusted Dealership at no additional cost. Our Service Centres perform extensive evaluations to determine which tires are best suited for each vehicle. 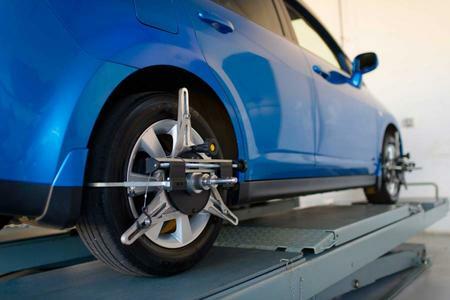 These considerations, as well as load and speed ratings, determine which brands and tire types are approved for use on your vehicle. As such, we possess the expertise and equipment to maintain your vehicle to manufacturer’s standards. We have access to the manufacturer’s technical database & service hotline. When it comes to getting the latest bulletins to repairing your vehicle, nobody can match the information we have. For your safety and driving comfort and also to maintain the resale value of your vehicle, we exclusively use Genuine Parts. Your vehicle was manufactured to the strictest tolerances for not only performance, but also durability. By using Genuine Parts, you can rest assured that your vehicle will operate as it was intended to. 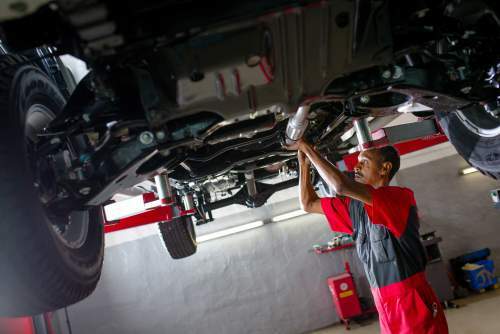 To maintain the validity of your warranty, your vehicle must be serviced at ABC Motors, sole authorized NISSAN, INFINITI, FIAT, ABARTH, ALFA ROMEO, CHRYSLER, JEEP, DODGE, PORSCHE distributor in Mauritius. Please refer to your Warranty Information & Maintenance Booklet for additional information. Our people continuously undergo manufacturer-endorsed training at our Technical Training Academy to ensure they are up-to-date with the latest vehicle technology. We also have a dedicated team of Service Advisors who will take care of your vehicle while it is in the workshop. Your vehicle not only needs top-notch technicians, but also requires specific tools & equipment to correctly maintain its precision performance. Our workshop is equipped with the latest tools and diagnosis equipment, specifically designed to maintain your vehicle. Many of these items just simply are not available at any other location. Also, we continuously upgrade our facilities to manufacturer standards. Shuttle service, drop off to nearby areas or city centre.